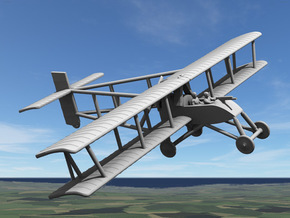 When it became evident that the Voisin 3 was capable of carrying a Hotchkiss 37mm cannon, the airframe was adjusted to account for the extra load in the front, and the position of the pilot and observer were interchanged, resulting in the Voisin 4. Larger lower ailerons were fitted and the tail was also adjusted. 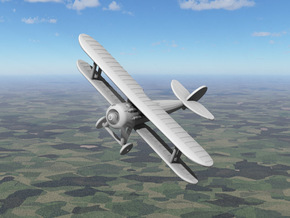 While it had initially be slated for air-to-air combat, it was too slow and clumsy for the fighter role. 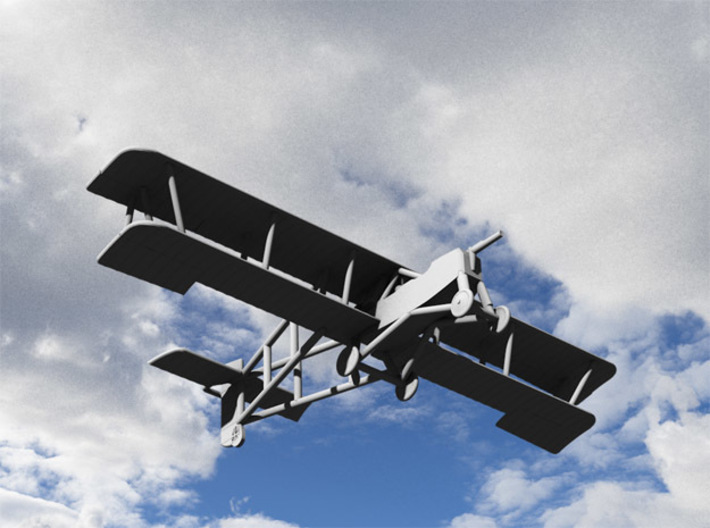 But it found a new life as a ground-attack aircraft, and it also carried out conventional bombing missions. 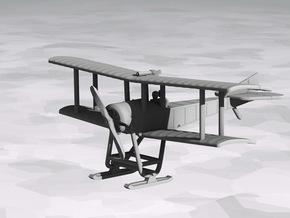 Modest numbers of Voisin 4's were used by both France and Russia. It was also known as the Voisin LB or -- with the raised engine platform -- Voisin LBS. 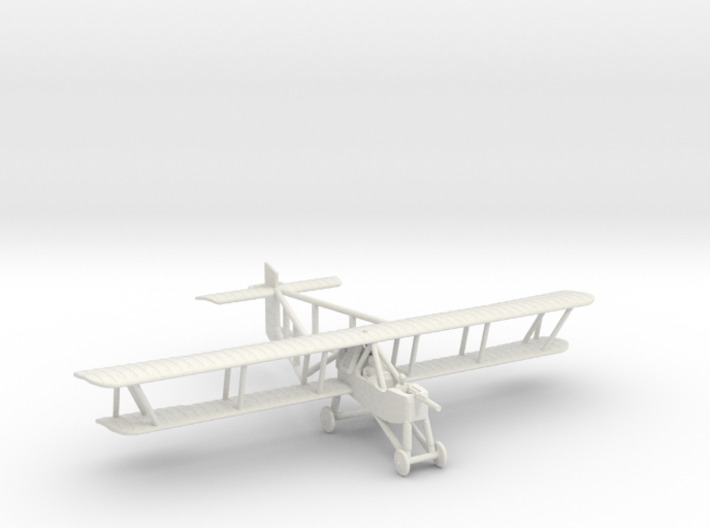 This product comes in both 1:144 and 1:285/6mm/1:288 scales. 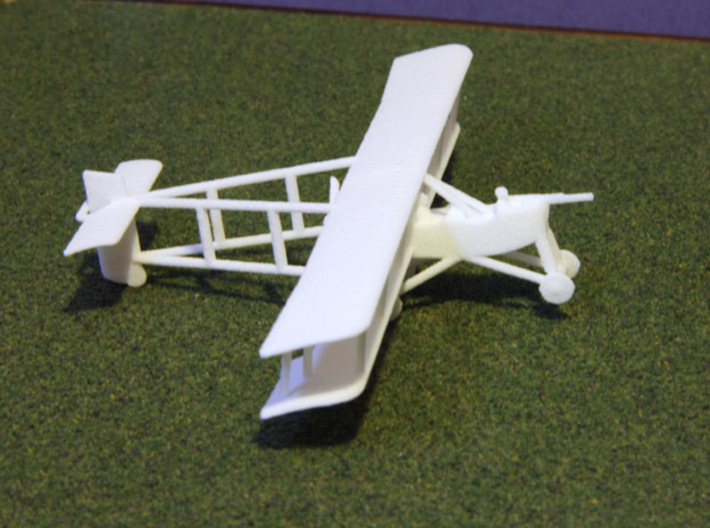 The 1:285 scale product uses a propeller disk rather than blades, since blades are hard to print at that scale. You can always break off the disks if you prefer. 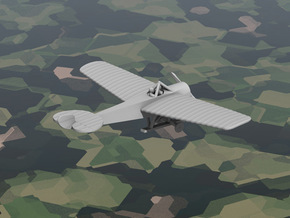 For more details and gaming information on this plane, see https://linen.miraheze.org/wiki/Voisin_4.